Sydney West Sports Medicine is owned and operated by a team of high profile sports medicine professionals. Our Practitioners at Sydney West Sports Medicine are recognised as leaders in their field across twenty seven different sports. The team possesses an extensive client network at an elite and amateur sporting level, while also working with the general community on their health, disability, chronic conditions and rehabilitation. Our courteous and experienced reception staff are here to help you with any queries about the practice. They are all long-term members of the team, and as such, are extremely able to assist you. 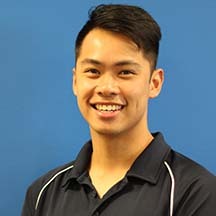 Andrew completed his Physiotherapy degree at Western Sydney University in 2017, graduating with a Bachelor of Health Science and a Masters of Physiotherapy. His passion towards the industry evolved as Andrew grew up playing a high level of Tennis and Swimming. 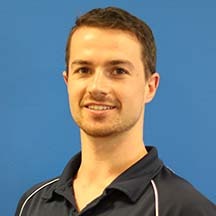 In addition to this knowledge, Andrew has gained a vast range of experience in Physiotherapy by working closely with the Western Sydney Two Blues, NSW Football Institute, Blacktown Spartans FC and Softball Australia. He has also gained experience working at the Junior National Swimming Championships providing coverage for sporting injury management. Through his experience, Andrew has developed a keen interest in analysing and treating biomechanical concerns and injuries associated with the neck, ankles and knees. He is also interested in acute and chronic sporting injuries, working with athletes to achieve their goals in a timely manner to enable the return to high level sport and activity. Andrew achieves this by implementing biomechanical analysis, manual therapies and exercise prescription to facilitate an optimal recovery. 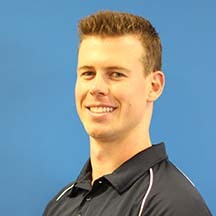 Brent Kirkbride is an experienced APA titled Sports Physiotherapist. 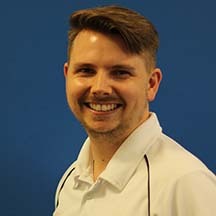 He has been the NSW Institute of Sports Physiotherapy Consultant for the past six years, working with the state’s top 750 elite athletes, coaches and managers. 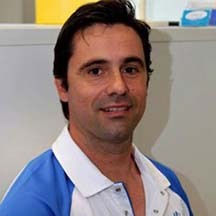 He has also been the Medical Coordinator for Athletics Australia since 2001 and was a previous member of the NSW Sports Physiotherapy group committee. Brent has gained extensive experience with many elite national and state teams in a variety of sports, including working with the Sydney Kings Basketball, GWS AFL, National Men’s and Women’s Water Polo teams, Athletics and more. He has also worked as a Physiotherapist at major sporting events including the Olympic and Commonwealth Games providing Physiotherapy services to treat pain or injuries and ensure the athletes were continually performing their best. This experience allows Brent to bring a vast range of practical knowledge to our patients at Sydney West Sports Medicine. Brent also has a keen interest in biomechanics and its relation to injuries. He is also interested in the ways in which Physiotherapy and rehabilitation can aid the return to sport and/or work. As a result of his experience with aquatic sports, Brent has developed a particular interest in shoulder problems, while his experience in athletics provides him with great knowledge in all running related injuries, especially overuse and tendon injuries involving the lower limb and pelvis. Brent has lectured extensively to Sports Physicians, Physiotherapists, coaches and athletes on a variety of topics relating to injuries and effective management. He has been involved in studies that have been published in international medical journals. Through his vast range of experience and knowledge, Brent is passionate about providing the highest quality of care for all patients. This ensures Sydney West Sports Medicine maintains its reputation as one of the premier centres for effective management of all types of musculoskeletal injuries in NSW. Jessica graduated from the University of Sydney with a Bachelor of Applied Science (Physiotherapy). Since graduating, Jessica has also completed Integrated Dry Needling and Sports Trainer Level 1 courses. 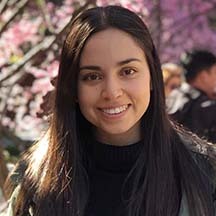 Using the knowledge gained in these programs, Jessica worked in a private dance Physiotherapy practice before joining the team at Sydney West Sports Medicine. Jessica has a passion for preventing sporting injuries and is especially interested in pre-screening and injury prevention programs. She also has a keen interest in relation to injuries and pain associated with the neck, shoulders and lower limbs. 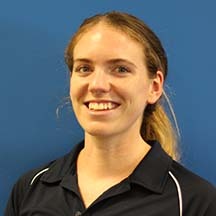 Adding to her passion and knowledge, Jessica has gained further practical experience by working with the NSW Women’s Hockey team at the Country Women Championships, as well as supplied Physiotherapy aid at various Rugby and AFL clubs at a recreational level. In her free time, Jessica loves playing AFL, hitting the gym and thoroughly enjoys being outdoors. Kingsley Gibson is an experienced Sports Physiotherapist who has been an NSW Institute of Sport Physiotherapy Consultant for the past twelve years and worked with the state’s top 750 elite athletes, coaches and managers. Kingsley has had extensive experience with elite national teams. He has been involved with the Australian Indoor Soccer, Triathlon and Hockey teams. At a state level, he has been involved with NSW Gymnastics and Hockey teams. In 2001 and 2002 he was the head Physiotherapist and Medical Coordinator for the Sydney Kings Basketball team and the 2007 West Sydney Razorbacks. In 2000, he was the Assistant Physiotherapist to the Sydney Olympic Games Polyclinic. Kingsley travelled with the Australian Women’s Hockey team to the 2002 Commonwealth Games in Manchester and 2004 Olympics in Athens. From 2005 to 2008, he travelled extensively with the Australian Men’s Hockey team, the Kookaburras. Kingsley was a member of the Australian medical headquarters staff at the 2006 Melbourne Commonwealth Games, working with eight sports and also filled the same position at the 2008 Beijing Olympics and 2012 London Olympics with 4 sports including Hockey, Diving, Synchronised Swimming and Shooting. For his services and experience with Gymnastics, in the year 2000, the Commonwealth awarded Kingsley with a Sports Service Medal. Kingsley has a keen interest in biomechanics and its relation to injuries, rehabilitation and the way in which Physiotherapy and various physio exercises can assist in the return to sport and/or work. He has particular expertise in shoulder, foot, ankle and knee injuries and is currently doing extensive work in the area of the lumbar spine and pelvic stability. Kingsley has also lectured extensively to many university graduates, Sports Physicians, GP’s and Massage Therapists, further demonstrating his vast expertise in Physiotherapy. Luke completed his Physiotherapy degree at the Australian Catholic University in 2015. Previously working at Blacktown and Mount Druitt Hospitals across Outpatient and Acute Departments, Luke has experience in treating a wide variety of orthopaedic, chronic and musculoskeletal conditions with a focus on biomechanics and exercise. Luke was previously a national level Gymnast and Diver. He has also played Rugby Union, Rugby League, Football and has coached both Swimming and Gymnastics. Through this sporting experience, Luke has developed a keen interest in sports injury management, return to sport rehab and helping clients achieve their goals and realise their own performance potential. His approach to treatment involves management of both functional and symptomatic recovery. Symptomatic recovery alone increases the risk of recurrence and doesn’t address the cause of the injury and functional recovery alone is often inhibited when symptoms are not adequately managed. Therefore a combination specific to the individual is necessary to help relieve symptoms and allow them to recover functionally through exercise and correcting movement patterns. Matthew graduated from the University of Sydney with Honours (First Class) researching Physiotherapy interventions for people with facial nerve palsy. Prior to working at Sydney West Sports Medicine, Matt spent four years working in the Hills District assessing and treating a broad range of musculoskeletal injuries. Matt has a particular interest in the rehabilitation of patients and the role that Physiotherapy or exercise plays in the journey from acute injury to the return to sport, work or life. This includes post-operative rehabilitation of the joints including the shoulder, knee and ankle. He has worked with athletes from a local to national level in a range of sports and has a particular interest in Football (Soccer) and Athletics (sprints/jump/distance). He has worked with the Sydney FC Women’s team and Knox Grammar Track and Field athletes. He is an accredited Level 2 Athletics Coach with Athletics Australia. Matt also has a keen interest in workplace injury prevention and management and has worked closely with a number of businesses such as Woolworths, Toll IPEC and BevChain to improve workplace safety at a local and national level. In fact, Matt is skilled in reviewing businesses operating procedures and manual handling protocols to develop safer working environments. He works closely with Occupational Health Doctors, Rehabilitation Consultants and the workplace to optimise the care of injuries workers. Matt has a strong focus on continued professional development. He has completed additional coursework in Dry Needling, Kinesio taping (otherwise known as athletic taping) and Pilates exercises, including both mat work and reformer. Matt has also completed his Spinal Level 1, Sports Level 1 and McKenzie Part A qualifications. 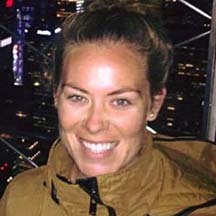 Nadine graduated from the University of Sydney with a Bachelor's Degree in Physiotherapy, and from LaTrobe University with a Graduate Certificate in Sports Physiotherapy. She has spent her career working in sport and the private sector in both Australia and the U.K. prior to working at Sydney West Sports Medicine. Nadine has worked with a variety of sports teams and associations including Sydney FC Women's Soccer team, Hockey NSW state teams, Gymnastics NSW state teams, Men's NSW Netball state teams, Western Sydney Wanderers Women’s Soccer team, the national Water-Ski Racing team, Guildford Owls Rugby League, Parramatta Eels Junior Rugby League, Eastwood-Ryde Netball Association and high level swimmers. As a result of her work with sport she has developed a passion for managing acute sporting injuries, with a particular interest in the management of acute injuries of the knee and ankle, and pain and restriction in the thoracic spine. Nadine employs a very hands on treatment approach and individualised exercise prescription to restore function and optimise the recovery of her patients. Nadine strives to continually improve her skills and knowledge, having completed various courses in the management of sporting injuries. She is currently in the process of completing her Masters in Sports Physiotherapy at LaTrobe University. 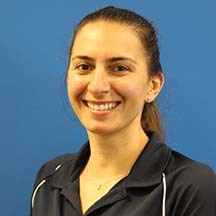 Dinora is an Accredited Exercise Physiologist (AEP) with Sydney West Sports Medicine and is a qualified Gymnastics coach, holding an Advanced Silver accreditation in Women’s Artistic Gymnastics with Gymnastics Australia (GAUS). She has extensive experience in coaching both national and elite athletes. Along with her coaching abilities, Dinora has established a keen interest in injury prevention of musculoskeletal injuries with high performing athletes. Dinora specialises in exercise prescription for the management of chronic diseases and also instructs weekly Hydrotherapy sessions within our clinic at Sydney West Sports Medicine. 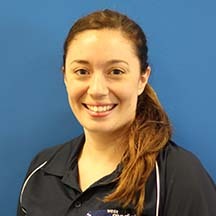 She is currently involved with competitive national athletes in Gymnastics as a coach, looking after injury prevention, musculoskeletal injuries and developing programs to assist in returning to full training and competitions. Nick graduated from the University of Sydney with a Bachelor of Applied Science in Exercise Physiology and has since become an Accredited Exercise Physiologist (AEP) and Exercise Scientist (AES) with Sydney West Sports Medicine. During his study, Nick immersed himself in a multitude of coaching positions to further his knowledge and develop his practical understanding by undertaking Swimming, Cricket and Rugby coaching positions whilst competing in the latter two sports himself. Nick has developed a real passion for exercise and believes it is an essential medium to help people live a happier and healthier lifestyle. In addition to his study and coaching experiences, Nick also worked as a replenishment team member at Woolworths supermarkets while completing his degree. During this position, Nick saw firsthand the importance of exercise as an essential treatment to help injured workers get back on their feet and return to work in a timely manner, and therefore uses this knowledge in his practice. Graduating from the University of Sydney in 2010, Nikki has since had the experience of working in a diverse range of environments including private clinics, hospitals and industrial onsite locations. She has also used her knowledge as an Exercise Physiologist alongside a number of elite and semi elite sporting associations such as the Parramatta Eels and Penrith Panthers Rugby League Football Clubs, as well as Gymnastics NSW. Nikki specialises in the delivery of exercise for chronic disease prevention and management, musculoskeletal rehabilitation (including pre and post-operatively), weight loss/management, sports specific training or general health and wellbeing advice. Nikki is passionate about providing the appropriate support, education and management for patients with complex and/or chronic conditions such as Cardiovascular Disease, Diabetes, Osteoporosis, Mental Health Illness, Cancer, Arthritis, Pulmonary Disease, Neuromuscular Disorders and more. Nikki is experienced in working with large corporate companies to provide training in regards to safe manual handling practices, implementing injury prevention programs and providing functional capacity and musculoskeletal assessments. Nikki also instructs weekly group Diabetes classes to assist both pre-diabetics with controlling their condition, and group Hydrotherapy classes for those with musculoskeletal injuries and chronic lower back pain. Dr Corey Cunningham is a knowledgeable and professional Exercise and Sports Physician within our Western Sydney clinic. 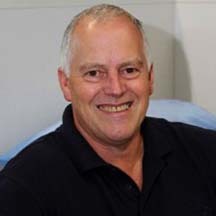 With a great range of experience, Dr Cunningham is a fellow of the Australian College of Sports Physicians (ACSP) in which he completed specialty training in Sports and Exercise Medicine. He is also a fellow of the Royal Australian College of General Practitioners and holds a post graduate Masters in Sports Medicine from the University of NSW. 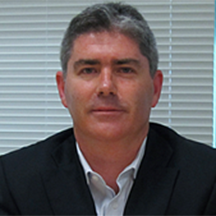 Furthermore, Dr Cunningham holds the title of Medical Director at the NSW Institute of Sport and has developed multiple RACGP QA & CPD Activity Learning Modules for GP Education, along with being the convener of the annual ACSP Scientific conference. 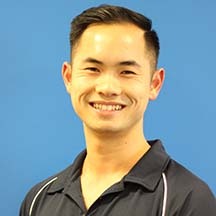 Dr Jin Lee is a 4th year registrar completing his specialist training with the Australian College of Sport and Exercise Physicians. Having completed two years of training in Newcastle, he returned home to Sydney. Jin has been awarded the Ken Crichton Fellowship for 2018 and worked with the Canterbury Bulldogs as part of his fellowship until early 2019. and, in addition to his position with the Bulldogs, Jin has been serving as the team physician for the Fiji Bati Rugby League since 2016 and was fortunate enough to travel to the 2017 World Cup as their doctor. Jin currently works with the Western Sydney Wanderers. During his time in Newcastle, he worked with the Newcastle Knights Rugby League Club and worked as a match day and assistant doctor for the Newcastle Jets in the A-league. Other opportunities have included providing medical coverage for the Sydney 7’s Rugby Union, Greater Sydney Rams, Wallabies test matches, Cricket Australia working with the Australian intellectually disabled cricket team and the 2018 and 2019 Sydney International Tennis. 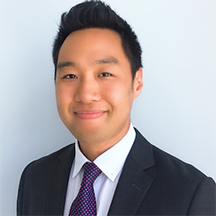 Jin has an interest in both acute and chronic musculoskeletal issues and sees patients ranging from the weekend warrior to the elite athlete. No referral is required to see Jin and it is requested that any imaging and letters be brought to your appointment. Jin also consults at Hills Sports Medicine in Norwest and Sydney Sports Medicine Centre in Olympic Park. Graduating from the Flinders University of South Australia, Dr Tack Shin Lee obtained an Honours degree in Medicine. Following graduation, he undertook an Australian Orthopaedic Association (AOA) Advanced Orthopaedic training in NSW. During this period, he spent six months in the U.S.A as a Paediatric Orthopaedic Fellow. At the completion of his advanced training, he undertook sub-specialty training in trauma as a Fellow at the Royal North Shore Hospital. He then went on to complete a Royal College of Surgeons Edinburgh accredited Knee Reconstruction and Arthroplasty Fellowship with Dr Michael Wilkinson at the King’s College Hospital in London and a Shoulder Arthroscopy Fellowship at the King’s College Hospital with Dr Adel Tavakkolizadeh. He also spent twelve months as a Sports Physician at the Crystal Palace Physiotherapy and Sports Injury Centre in London. He is fluent in Chinese, particularly Hakka, Cantonese and Mandarin and is also conversant in Bahasa Malaysian. 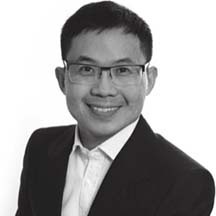 Phillip is a graduate of Macquarie University with a Bachelor and Postgraduate Masters degree in Chiropractic Sciences. Phillip has also pursued further studies and accreditation in dry needling and acupuncture, Pilates mat work, selective functional movement assessments, CDI spinal diagnosis and is accredited with Work Cover. Phillip focuses on a holistic approach to treating muscular and spinal injuries through patient education and the use of Dry Needling, soft tissue therapy and exercise therapy. Furthermore, Philip is trained in core-strengthening rehabilitation. Having undertaken studies in clinical Pilates, Phillip recognises the importance to improve lumbo-pelvic strength, balance and control in order to manage lower back pain. Alongside private practice, Phillip is also an injury management provider for various Linfox sites within New South Wales. Coupled with his extensive experience and knowledge, Phillip is an active member of the Chiropractors Association of Australia and Sports Chiropractors Australia. Upon completing a Bachelor of Science and a Masters of Nutrition and Dietetics, Stephanie become an Accredited Practising Dietitian and Sports Dietitian with a particular passion for sports nutrition and its role in achieving performance outcomes. 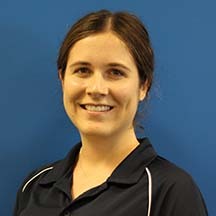 She also is a member of the Dietitians Association of Australia and Sports Dietitian Australia establishments. Stephanie has practical experience working with a variety of athletes, assisting them in achieving their own performance, body composition and rehabilitation goals. Furthermore, she has experience in providing nutritional advice for disordered eating habits, reduced energy availability for safely cutting weight for competitive athletes. Outside of sports dietetics, Stephanie also enjoys tackling more clinical issues, such as PCOS, diabetes, cardiovascular disease and food intolerances. Treating these types of nutrition issues is a major key to improving quality of life and age expectancy. However, Stephanie believes that prevention is better than treating an issue after onset, and it is therefore important to instil healthy eating habits that become part of an individuals’ lifestyle, and not just a short-term plan. As a power lifter herself, Stephanie understands how poor nutrition choices can affect strength, recovery, endurance and overall wellbeing. Through experimenting with her own diet to improve performance outcomes, Stephanie has experienced the value in using diet and supplementation strategies to achieve her own strength goals. Stephanie’s ambition as practicing dietitian is to assist athletes in achieving their goals through advice on optimal diet, supplementation and recovery strategies. She also aims to encourage everyday individuals to adopt healthy habits as a part of their lifestyle to improve their overall health and wellbeing. To achieve this, Stephanie realises that realises that each person is an individual, and therefore takes the time to thoroughly understand every client and create a plan that suits their lifestyle and needs. Her advice is always based on scientific principles, which are then used to develop simple and practical strategies for achieving each client’s goals. Stephanie finds satisfaction in seeing other people achieve their goals while maintaining a balanced lifestyle, and consequently preaches the principle of moderation, not deprivation. With a keen interest in weight training and previous experience as a personal trainer, Ben’s passion for health and fitness saw him complete a Diploma in Sports and Remedial Massage and obtain qualifications in Dry Needling. 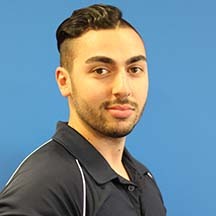 Ben has gained extensive clinical experience working as a Sports and Remedial Therapist, as well as working with the Western Sydney Wanderers sporting team and Women’s elite Gymnastics team in relation to injury prevention techniques. Ben specialises in providing Remedial Therapy to treat a wide range of musculoskeletal injuries and discomfort such as lower back pain, shoulder pain, tennis elbow, neck pain, postural imbalances and sprains or strains. By utilising a range of techniques including Remedial Therapy, Deep Tissue Massage and Dry Needling for injury management, Ben is able to treat and prevent soft tissue pain and restricted joint movement commonly caused by muscle dysfunctions.